The eyes are truly the windows to the soul. You can tell a lot about a person’s life and personality by their eyes. On the flip side, they may also say a lot about you too. Take a peek at the image above. Don’t overthink it, just pick the eye that seems to draw you in the most. 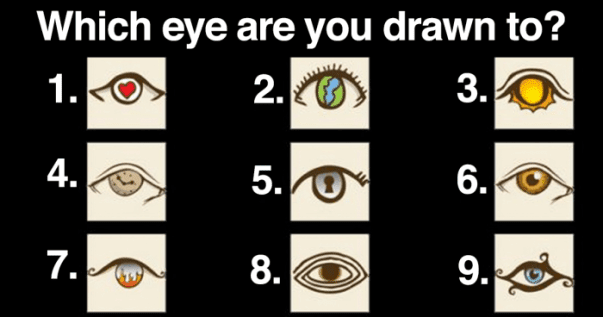 Let’s find out what that reveals about your personality. You’re the intuitive one. You understand people, cultures, and the whole world well. You can read people like a poem and know when you’re being lied to. Your every action is measured and you don’t manipulate easily. At the same time, you can play puppet master well, though we don’t recommend that kind of behavior.